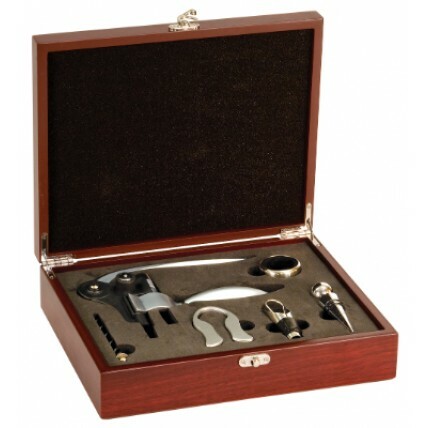 Our Rosewood 5-Piece Wine Tool Set makes a beautiful personalized gift for corporate customers, clients, or retirees! 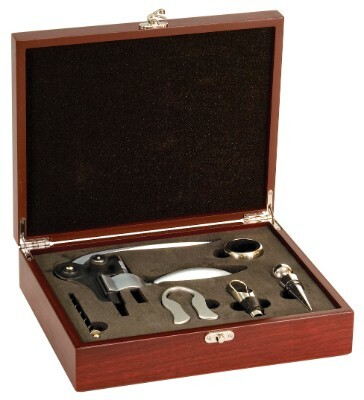 This tool set features a beautiful box with a rosewood finish and silver clasp. Inside five stainless steel wine tools including a corkscrew, replacement screw, stopper, drip collar, decanter, and foil removing tool, are stored snugly in charcoal colored foam. 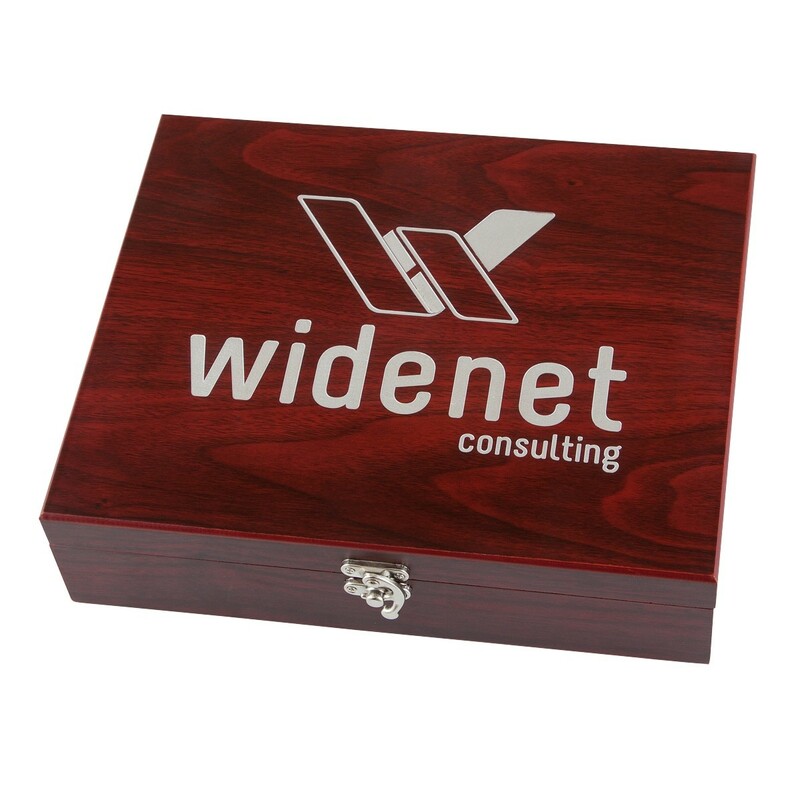 Price includes up to 2 lines of engraving on the front of the box in silver. Set measures 10 3/4" x 8 3/4" x 2 3/4".